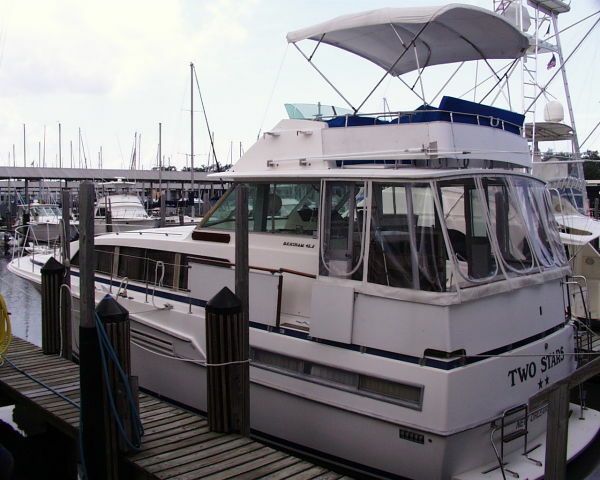 1975 Bertram 42 Motor Yacht Bertrams flush deck Motor Yacht Design was so popular they built it for 14 years. 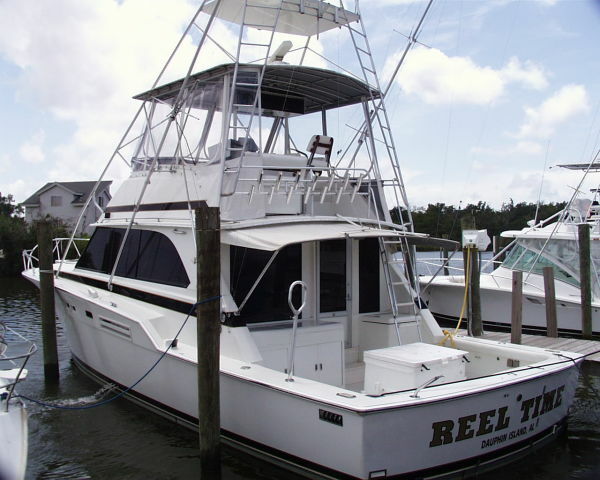 Utilizing the deep-sea fishing hull molds for the Motor Yacht was a true home run in the Marine industry. Seaworthy stability, safety and comfort in a classy clean vessel are traits marine engineers strive for still today. To find one remarkably clean is a true pleasure. The owner is a Licenced Pilot for ships in Mississippi River and loves his boats. AMORE' is one of those mechanically sound, well cared for vessels. A genuine reflection of her namesake. 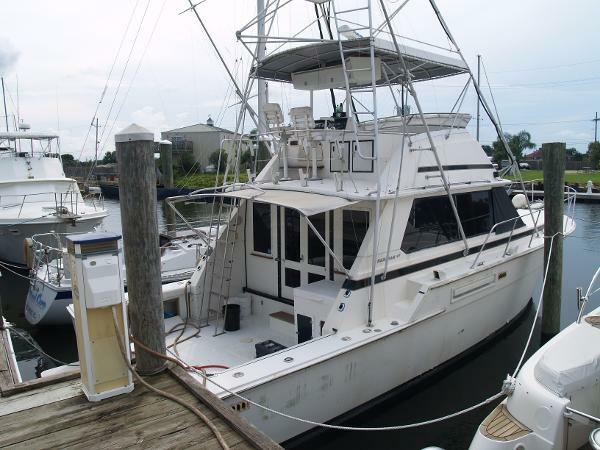 Owner ready to move up and make a deal for someone to do so.PRICE REDUCED New Aft Deck Teak Flooring (covered), New Bimini Top At Flybridge, New Aft Hardtop recessed Lighting and New Hardtop Headliner for the underside. 1981 Bertram Motor Yacht 46' Bertram Motor Yacht 1981Two Stars The TWO STARS is like a short step back in time when you could purchase the legendary Bertram ride in a brand new luxury motoryacht, which is how she shows. She's been drastically reduced so come see her while she's available. 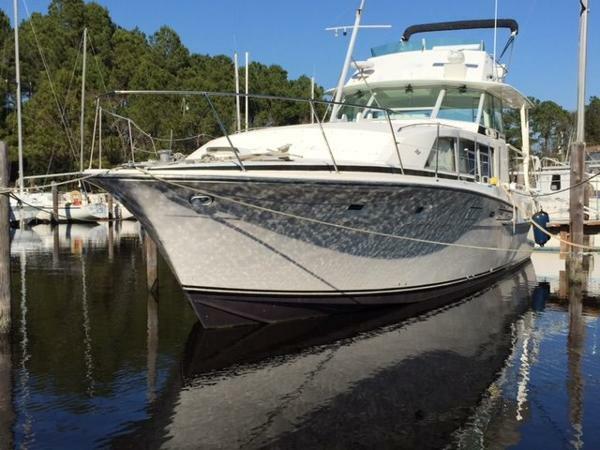 1976 Bertram 46 Motor Yacht DRASTIC PRICE REDUCTION!!!!!! Everything about the "Shiloh" stands apart from other Motor Yachts. 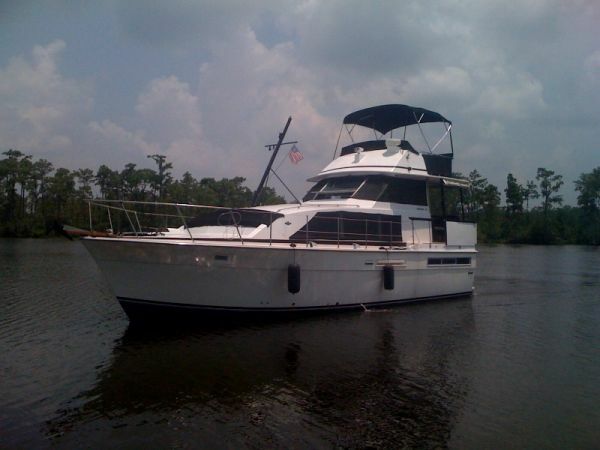 With a fully redone interior she is the ultimate live aboard or comfort cruiser. 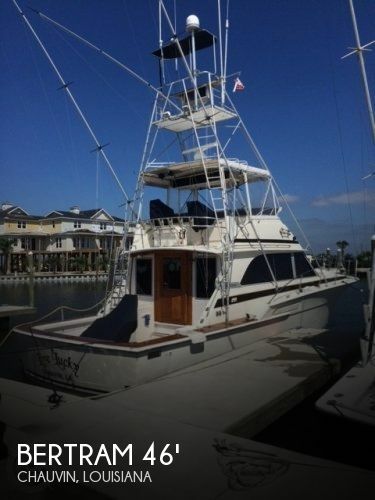 This 46' Motor Yacht is built on Bertram's Sport Fish hull and can handle any conditions thrown her way. Work done includes service and repair of main engines, gears and generator; all of which were brought up to good mechanical condition. The electrical service and all ship’s support systems i.e. potable water, sanitary systems, heat and air, galley appliances, etc. were overhauled. The entire interior was redesigned, overhauled and refitted.dry-docking during May 2014 for complete running gear overhaul, the hull superstructure and hull was cleaned and waxed, new bottom anti-fouling pain was applied. The rehab of the vessel was extensive and lasted through the 2014 winter. You must see the Shiloh in person to see what separates her from all other Motor Yachts. The price has been discounted and it is not for any hidden or unseen issues, but simply because the owner gets little time to use anymore. Present an offer! 1999 Bertram Sport Fish Experience the legendary 25 Bertram fly bridge sportfish with the benefit of a complete modern and professional rebuild. Everything is new and ready to go. She is stored on a tri-axle trailer, inside a garage and although she is the pride and joy of her original owner, she has only been used 19 hours since rebirth.PERFECT IS THE ONLY DESCRIPTION! 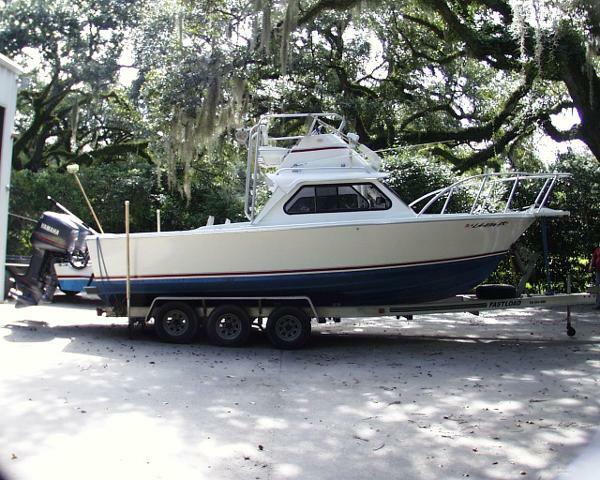 1979 Bertram Sport Fish The MISSY has always been a New Orleans boat having spent its entire life on Lake Pontchatrain, only used for fishing by its current owner and a cruising boat by its previous owner. 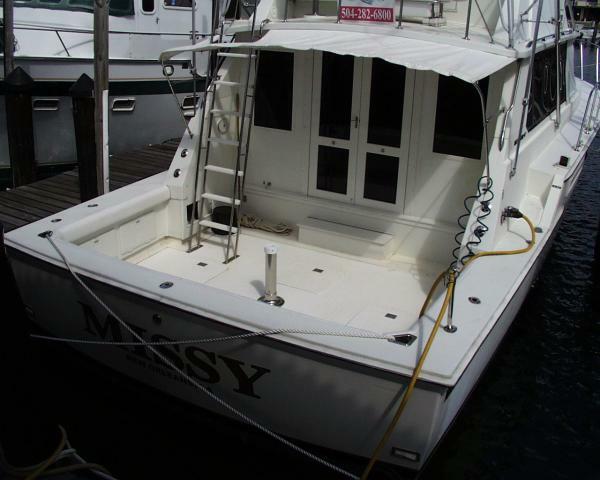 Besides wheels, engines, transmission, and a newer generator everything this boat has needed, it has gotten by her current owner including updated electronics, and interior and exterior soft goods. This is a ready to fish deal with a complete set of bluewater fishing tackle included. The seller is retireing from fishing so everything goes! !